bap. 11 June 1772, at St. Dorothy, Jamaica, 1st s. of Charles Pallmer of Cold Harbour, Jamaica and Jane Peters, da. of Nicholas Bourke of Clarendon, Jamaica. educ. L. Inn 1796. m. 2 June 1808, Maria Francis, da. and h. of Francis Dennis (whose wid. Mary bought the Norbiton estate in 1797), wid. of Hugh Ingoldsby Massy, s.p. suc. fa. 1787; William Thompson to Jamaica estates 1817. d. 30 Dec. 1848. Maj. of brigade, W.I. 1805. Crown solicitor in Jamaica 1806; bailiff, Kingston-upon-Thames 1820; sheriff, Surr. 1822-3; commr. of lunacy, Mdx. 1828-9. He had expressed the hope to his constituents that he might ‘endeavour to act in some degree as a mediator between the legislature of this country and the West Indian planter’. 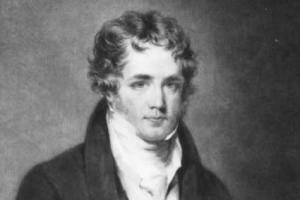 He accompanied the planters’ deputations to lobby Huskisson, the president of the board of trade, for the admission of sugar to distilleries in October 1826, and to discuss the sugar duties with Robinson, the chancellor of the exchequer, in March 1827. Four months earlier he had been in the delegation to the colonial secretary Lord Bathurst to urge compensation for slave owners once the order for abolition was enforced.7 He spoke regularly in the House on West Indian and commercial matters. He defended the tax advantages enjoyed by West Indian over East Indian sugar, 23 Mar. 1827.8 While admitting that justice in the West Indies was ‘in general badly administered’, 12 June 1827, he denied that Jamaicans of mixed race were peculiarly victimized and set his face against ‘too sudden changes’ in the system. He moved for trading accounts of West Indian produce, 5 Mar., and after lobbying ministers he presented a petition from the planters and merchants for a reduction in sugar duty, 21 Apr. 1828.9 He argued that cheaper sugar might palliate the famine in Ireland, and that the revival of West Indian prosperity would provide a greater market for British manufactures. His suggestion for a clause to introduce the principle of reciprocity of duties to the corn importation bill was accepted, 23 May. He favoured the repeal of that part of the Foreign Enlistment Act which he deemed an interference with shipping interests, 3 July 1828. 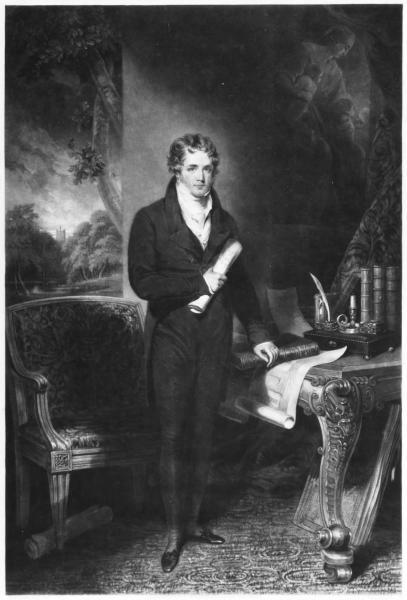 In January 1829 he led a delegation to the prime minister, the duke of Wellington, to lobby for a reduction in sugar duties.10 He moved for accounts of imports and exports of rum, sugar and coffee, 24 Mar., and spoke in favour of the West India Docks bill, 14 Apr. 1829. That month Pallmer and Ellis, now Lord Seaford, resigned their official positions on the West India committee after an organizational coup at a general meeting. Although this implied criticism of their leadership, the committee acknowledged Pallmer’s ‘prompt and assiduous support of the colonial interest both in and out of Parliament’.11 He briefly condemned the government’s ‘infatuated’ policy towards the West India interest, 1 Mar. 1830. At a meeting of concerned Members, 2 June, he proposed the motion for a representation to be made ‘in the strongest possible terms’ to Vesey Fitzgerald, the president of the board of trade, for some measure of relief ‘without loss of time’; the remedy suggested was an experimental reduction of the sugar duties in Ireland. The usual philanthropic gloss was put on this, and it was commended to ministers with the argument that if the expected increase in consumption took place, no loss of revenue would result.12 Denouncing their response as ‘very unsatisfactory’, 14 June, Pallmer put the scheme to the House, 1 July, and saw it defeated by 68-38. Having complained about the punitive duties on West Indian rum, 7 Apr., he supported Huskisson’s attempt to lift them, 5 July 1830. On wider issues there was a streak of liberalism in Pallmer’s philanthropic interests and his sympathy for measures of parliamentary reform. He expressed support for Lord Althorp’s resolutions against electoral bribery, 22 Nov. 1826, and his motion for inquiry into the procedure for taking county polls, 15 Mar. 1827, when he detected an ‘auspicious’ mood in the House for ‘beneficial measures’ of this kind. He voted that day for inquiry into Leicester corporation, and explained on the 16th that he suspected malpractice in the creation of freemen. Yet he divided with Canning’s ministry against the disfranchisement of Penryn, 28 May, and regulation of the Coventry magistracy, 18 June. He voted against Catholic relief, 6 Mar. He divided for the Clarence annuity bill, 16 Mar., and praised the duke and duchess for their ‘domestic virtue and hospitality’, 22 Mar. Though he voted for the spring guns bill next day, he believed that the right to set them should be retained by the owners of market gardens, ‘a species of property especially subject to depredation, from being so near town’, 17 May. He divided for information regarding delays in chancery, 5 Apr. He voted for the grant for Canadian waterways, 12 June. On 14 May he urged the importance of the moral reform of prisoners, a concern which he had shown in his attempt at the Surrey quarter sessions to secure daily instruction for prisoners, and in his patronage of the Surrey Refuge for the Destitute (for ‘discharged prisoners ... desirous to forsake their depraved course of life’) and the Surrey Asylum for the employment and reformation of discharged prisoners.13 He introduced a bill to consolidate the law on savings banks, 22 May, when he lauded them as ‘giving the benevolent rich the means of encouraging the prudence of the industrious’; it foundered at the report stage. He promised a bill to regulate lunatic asylums, 8 June, but nothing more was heard.14 Similarly, he appears to have abandoned his intended bill to regulate jurors’ recognizances, 14 June 1827, after the home secretary Sturges Bourne promised a government measure the following session.15 He presented petitions for repeal of the Test Acts, 7, 19 Feb., and voted accordingly, 26 Feb. 1828. In presenting an anti-Catholic petition, 8 May, he declared that tranquillity in Ireland should not be bought ‘at the price of the discontent of England’; he divided against relief, 12 May. He unsuccessfully moved for the extension of Penryn into the neighbouring hundreds, 24 Mar., and maintained that the guilt of ’15 or 16 individuals’ did not justify the borough’s disfranchisement, 7 June. On 19 June he reintroduced his savings banks amendment bill, for which he had apparently secured backing from Wellington’s ministry; he replied to minor objections, 27 June, 3, 8 July, and after amendment in the Lords it gained royal assent, 28 July (9 Geo. IV, c. 92). He voted against reduction of the salary of the lieutenant-general of the ordnance, 4 July 1828. In February 1829 Planta, the patronage secretary, listed him as one who was ‘opposed to the principle’ of Catholic emancipation. He confessed to having ‘painful misgivings’ about the anticipated concession, 20 Feb., presented hostile petitions, 26, 27 Feb., 3 Mar., and divided against emancipation, 6, 18, 23, 27, 30 Mar. Prior to the vote on the 6th he had divided the House against resumption of the debate, to allow more time for petitions, but was defeated by 205-76. Three days later his conduct attracted comment from Althorp and others about his earlier evasiveness on the issue, prompting him to affirm his ‘solemn and sincere conviction’ that the Protestant constitution would be endangered by the government’s proposals. He admitted to occasional irregularities in the collection of signatures for anti-Catholic petitions, but insisted that they represented the majority view. On 19 Mar. he presented another petition from London and Westminster, to which he claimed 113,000 signatures were attached, and, anticipating the imputations that would be cast on its respectability, he sniped at the ‘dogmas and declamations of those who arrogantly call themselves "the intellectual"’. At a county meeting two days later he outdid even his rabidly anti-Catholic predecessor, George Holme Sumner, in condemning the government’s bill as ‘idolatrous worship of the demon of fear’ and a ‘sacrifice upon the altar of unhallowed tranquillization’; Liverpool, he maintained, would not have remained in office to pass such a measure. He made no reply to John Maberly’s* demand that he suggest an alternative means of pacifying Ireland, but along with the meeting’s petition against emancipation he presented another for the establishment of a poor relief system in Ireland, 26 Mar.16 Either he or Charles Fyshe Palmer voted for the transfer of East Retford’s seats to Birmingham, 5 May. His attempt to legislate against bull baiting fell at the first hurdle, 12 May, when his motion to repeal the existing Cruelty to Animals Act failed by 73-28. His bill to tighten the regulations on new buildings gained a first reading, 5 June 1829, too near the end of the session to make any further progress. Ten or twelve years ago this person launched forth on the world with the reputation of possessing a large income from West India property ... Whatever that income might have been in prosperous times, it soon sunk in the same proportion as that of other proprietors, and Mr. Pallmer’s pride proving greater than his integrity, he continued spending some £8,000 or £10,000 a year long after his estate was wholly unproductive. The result of the system under which he raised the necessary supplies is a debt of £100,000 due to the firm with which he was connected. It is said that the ex-Hon. gentleman has written from Paris to say that everyone will ultimately be paid. On such a subject a little trading slang may be excused: ‘we wish they may get it’. 1. E.W. Brayley and E. Walford, Surr. 236. 2. Add. 38283, f. 286. 3. Add. 38299, ff. 349, 360, 369, 371; 38300, f. 259. 4. Inst. of Commonwealth Stud. M915/3/4, 4/1. 5. Add. 38301, ff. 213, 231; 40305, f. 186; 76135, Pallmer to Spencer, 11 June 1826. 6. Baldwin’s Weekly Jnl. 17, 24 June; County Chron. 20 June 1826. 7. Baldwin’s Weekly Jnl. 17 June 1826; Inst. of Commonwealth Stud. M915/4/1. 8. The Times, 24 Mar. 1827. 9. Inst. of Commonwealth Stud. M915/4/1. 11. Inst. of Commonwealth Stud. M915/4/1. 13. The Times, 11 Jan., 15 Nov. 1826, 15 May 1827, 9 May 1828. 14. Ibid. 9 June 1827. 15. Ibid. 15 June 1827. 16. Ibid. 23 Mar. 1829. 17. County Chron. 23 Mar. 1830; Cobbett’s Rural Rides ed. G.D.H. and M. Cole, iii. 1016. 18. County Chron. 6 July; Baldwin’s Weekly Jnl. 7 Aug. 1830. 19. Observer, 13 Mar. 1831; TNA 30/29/9/5/78. 20. I. Duffy, Bankruptcy in Industrial Revolution, 22; Observer, 1 May 1831; Surr. Arch. Colls. vii. p. xliii. 21. IR26/1880/836. A monumental inscription cited in Caribbeana, iii. 333, gives his date of death as 30 Sept.